Hi Friends! Thanks for popping in today and for hanging in there as we've been recuperating. It seems that we're finally on the tail end of a looong bug season, and it's just in time, because it also seems that the weather's turned while we've been hunkering down. Nothing but balmy temps in the near future, and heaps of fun new things to share here. 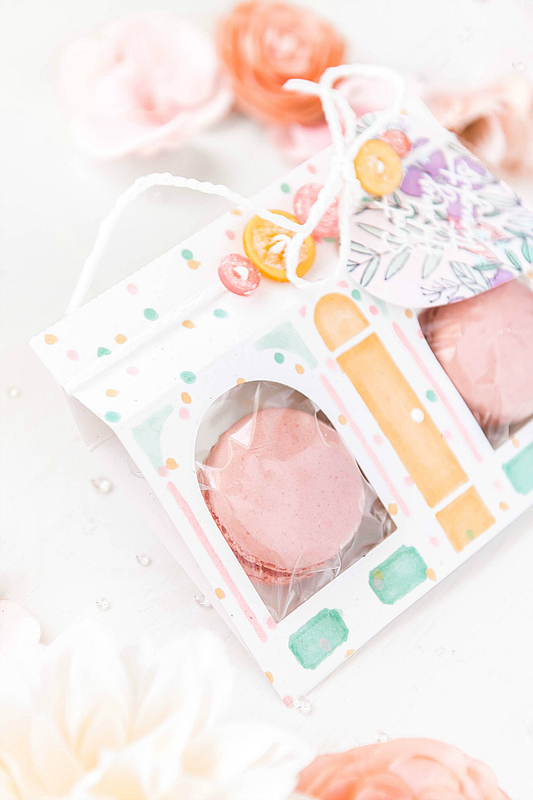 I am so excited to be sharing a few fun ideas today over on the Pinkfresh blog. 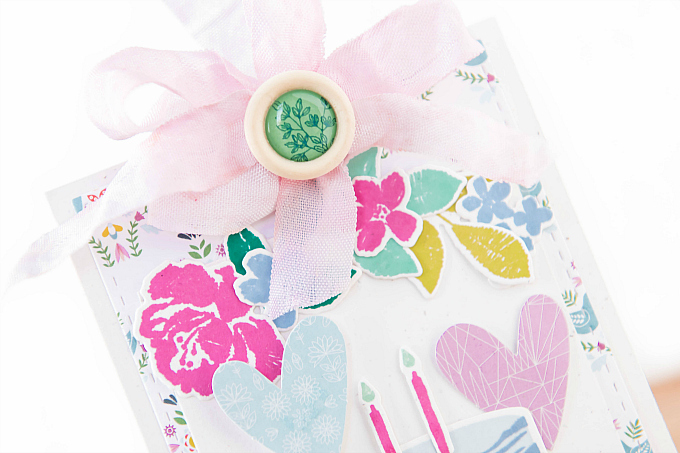 Two cards with birthdays in mind, and an edible card idea that is perfect for Easter or your Spring tablescape. You know how I always talk about how versatile Pinkfresh products are? Well, today I want to show you! 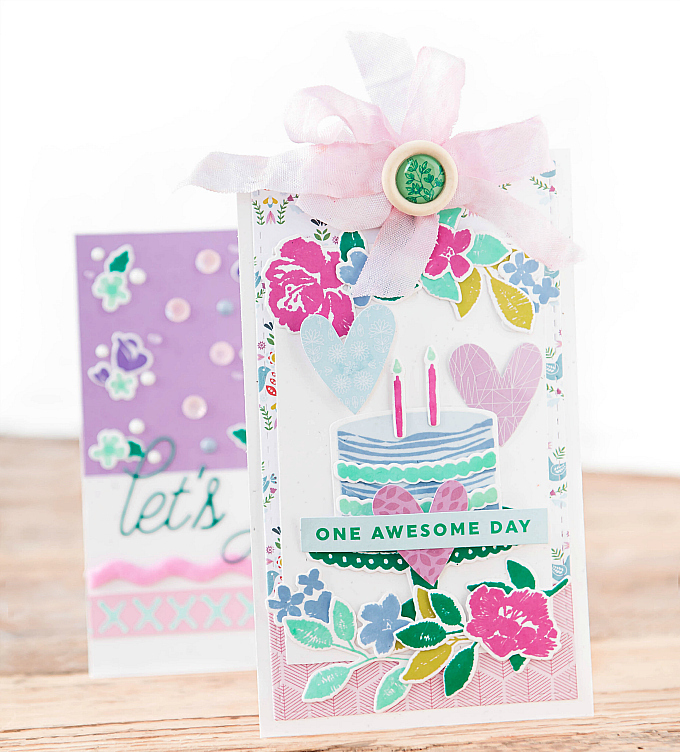 To start my edible cards, I used the Merry & Bright Toy Shoppe die to cut two identical shoppe front pieces out of sturdy cardstock. This is one of my favorite dies, because it works any time of year. It also just so happens to be a super fun die to alter. Window shaker cards? Check. Dimensional shaker cards? No problem! 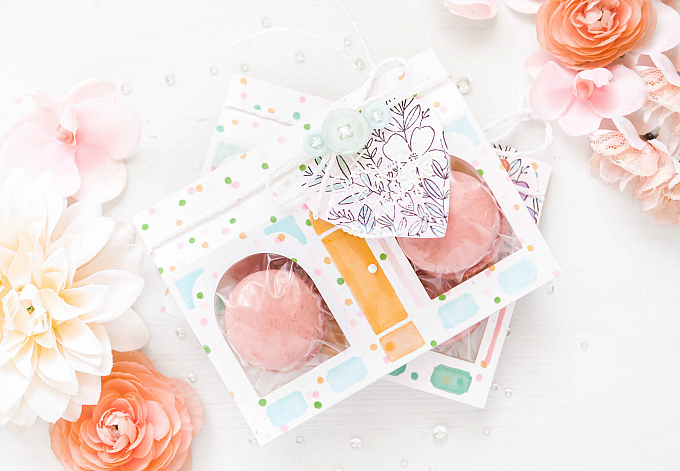 And of course, these fun edible cards which I'm sharing today. The best part is that each cut also embosses a store front design, which I accentuated with my Copic markers, along with adding some polka dots. I did my doodling freehand, but if you want a cleaner look, you could easily use a stencil for the dots, and some low-tack tape to mask the embossed windows and trim, for perfectly crisp and clean edges. I used the pre-scored lines to guide my folding for both pieces. I tied some white string along the colored front, and added a fun stamped tag. Actually, if you look really closely, you will see that it is comprised of two tags. The sentiment is stamped using the Great Joy stamp and heat-embossed on a heat-safe acetate piece, while the beautiful floral pattern from Fleur 1 is stamped on some scrap heart pieces I had laying around. You could easily use any tag shape here, though. I used my Copic markers to color in all the details and I also added some sparkled buttons. To make your own sparkly buttons, apply a clear adhesive such as Glossy Accents, or clear Nuvo Drops, to the buttons with a brush. Sprinkle on your favorite glitter. If you plan to add string later, wait for things to dry a little, and then use a toothpick to clear the button holes. If you do not have small baggies on hand, you could easily cut, fold and staple them together until they are just the right size. Also, using hot glue is a great way to ensure everything is secured to the card nicely. Alternatively, a super strong double sided adhesive would work just as well. 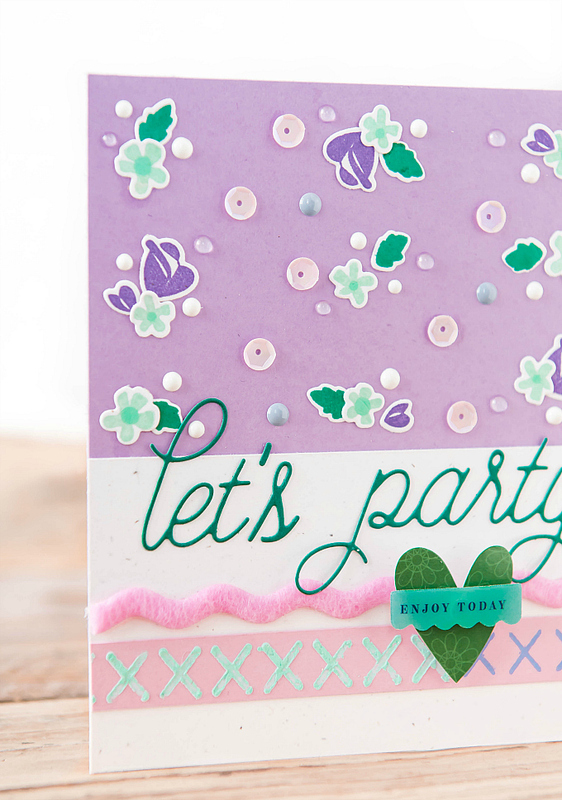 I'm kind of in love with this fun twist on one of my favorite dies. Next up, I have two birthday cards to share. I can hardly contain how much I loved making this duo! 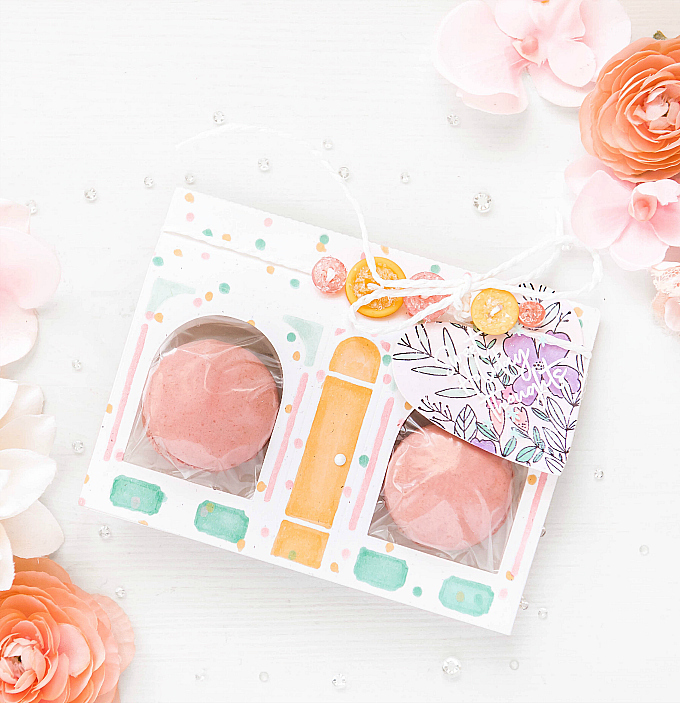 The floral vibes in both the Embroidered Blossoms set and Make a Wish Set are just sooo fun! So I had to give both a colorful spin. 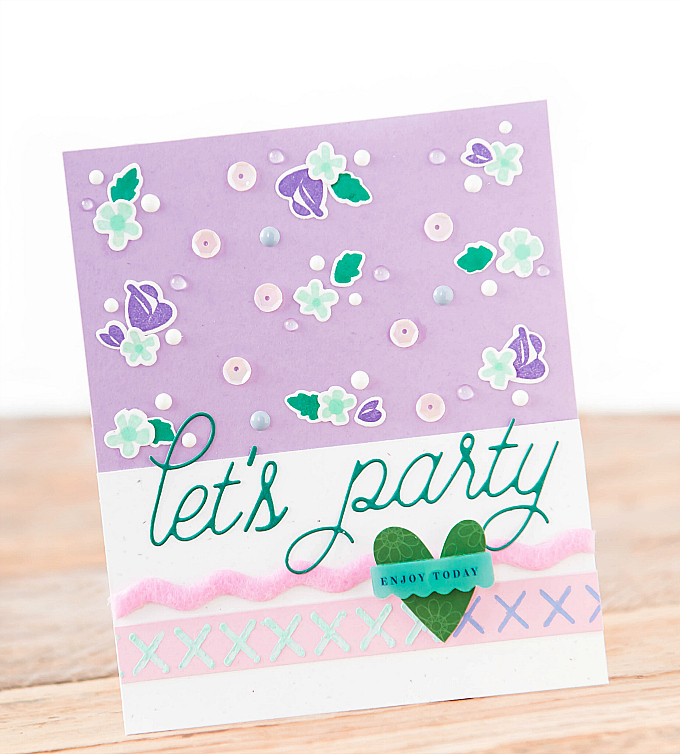 For my first card, I added some pretty patterns to a cardstock base, from the Everyday Musings 6x6 Paper Pad. I then added another white base, where I layered all my stamped die-cuts. 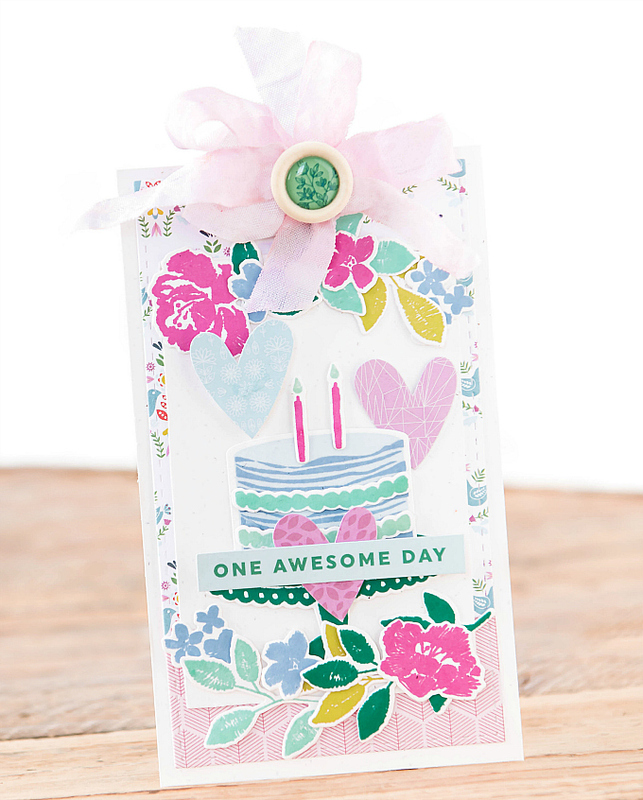 At the top, I added a frilly bow, along with an epoxy embellishment from the Joyful Day Mixed Embellishment Pack. I also used hearts from the Mixed Embellishment pack, but removed the little words that were adhered on top. This makes these hearts super versatile! 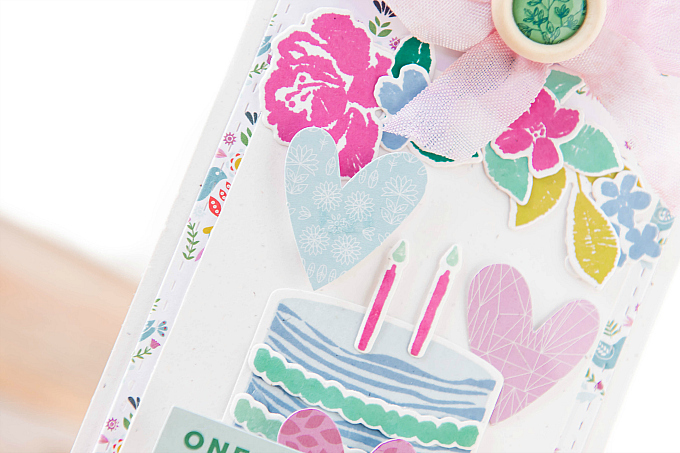 I stamped + cut the cake, candles, and stand using the Make A Wish stamp and die set. 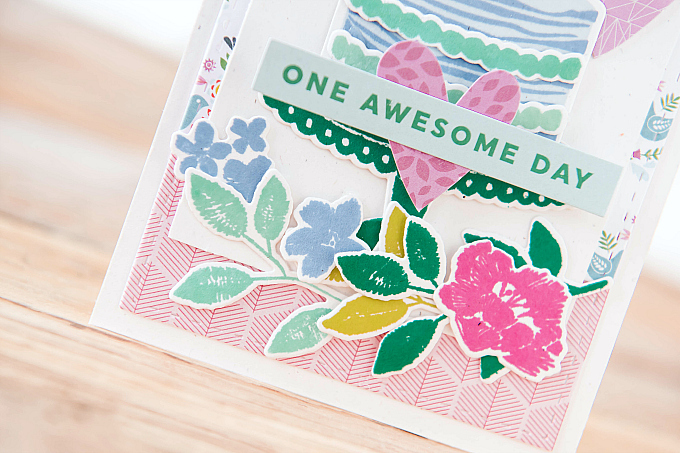 At the top and bottom of the card, I stamped + cut a heap of florals from the Embroidered Blossoms stamp and die set. 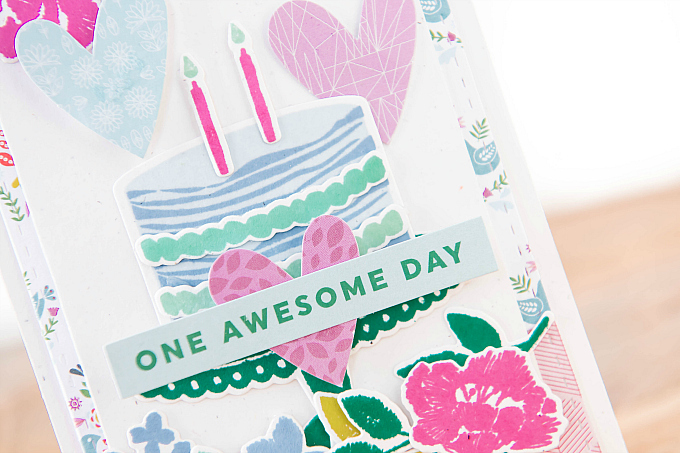 The sentiment sticker is from this Joyful Day Cardstock Sticker pack. For my next card, I decided to keep things clean and simple and do a more generic celebration card, so that it could work for birthdays, but also for other celebrations. 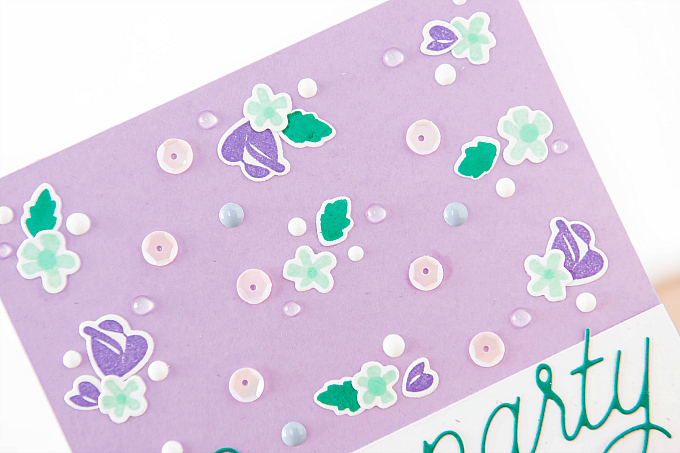 I started with a lilac card base, which I decked out with these itty bitty florals from the Make A Wish stamp and die set. I added in some Nuvo Drops, epoxy dots from the Mixed Embellishment Pack, and some pink sequins. At the bottom of the card, I used a white panel for my sentiment, and double trim accents. Lastly, I added a heart from the Mixed Embellishment kit to finish things off. I hope you enjoyed these projects, and that it inspires some craft time of your own! 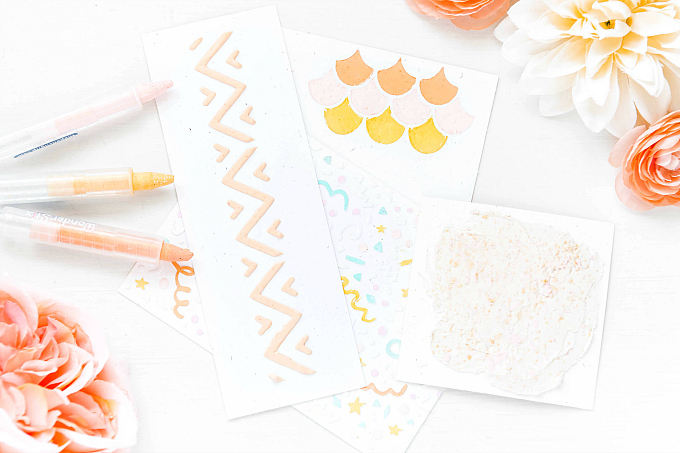 If you end up giving any of these ideas a try, don't forget to tag them up on Instagram! This list may feature some affiliate links to products used in the project(s) above. Should you use these links before shopping, it will never add any extra cost to your purchase, but it will go a long way in helping support this blog and exciting new content. I'm so sorry you've been under the weather Ivana. I hope you're back to 100% soon so you can enjoy your nice weather! Your cards are all lovely. Like breaths of fresh spring air! 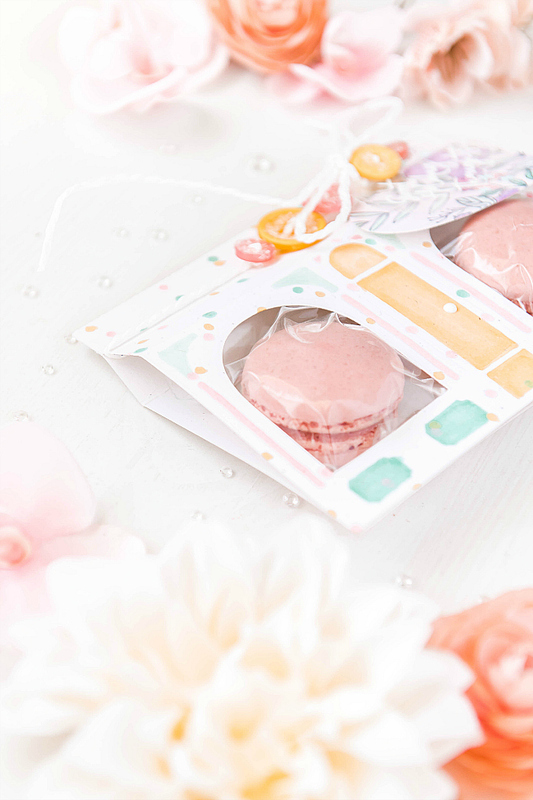 I LOVE the macaron holders. So fun!! 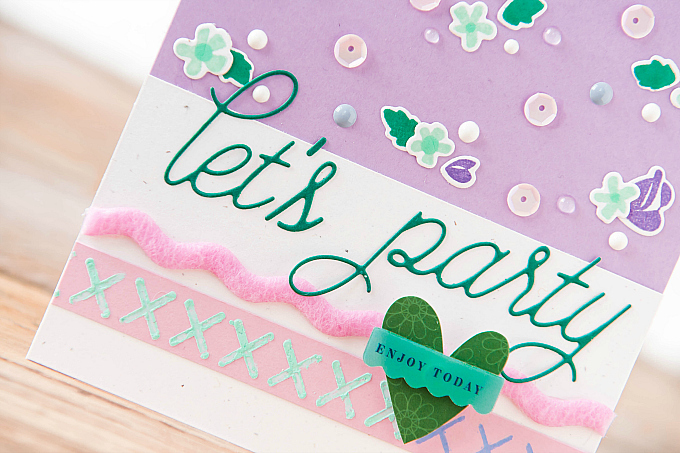 Your cards are gorgeous with the pretty colors an all the layers. GORGEOUS design! You are such a clever designer, Ivana! Your projects make me smile--cheery & beautiful! 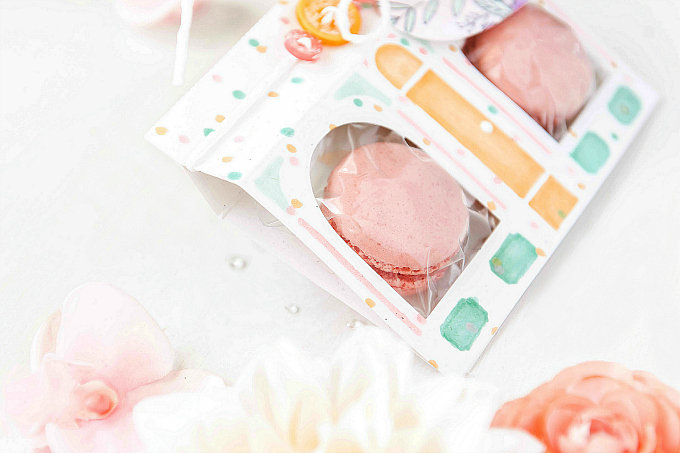 Really love the treat bag & would check out that bakery if I was in your neck of the woods! So happy you're getting some nice weather & are feeling better! Hugs from Oregon!